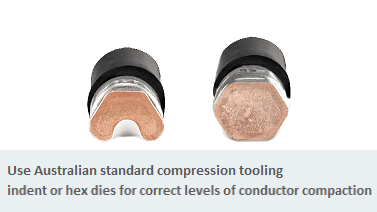 Copper compression lugs with a bell mouth entry to the barrel. 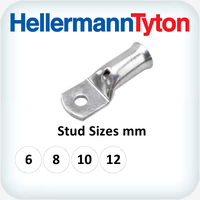 The flared entry is designed to funnel fine stranded flexible conductors used in automotive, marine and welding cables. 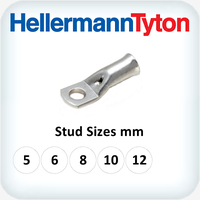 Hellermann Tyton bell mouth terminals are made from seamless 99.9% seamless copper tube extrusions, the connectors are formed, annealed, and finally electro tin plated. 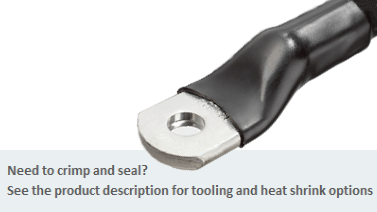 The tube wall thickness and relative inside and outside diameters are specific to Australian and New Zealand standards and suit Australian metric compression tooling. 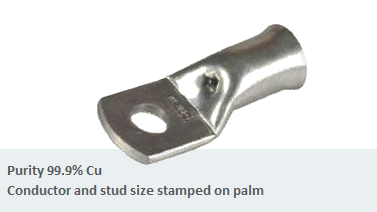 For ease of identification the conductor size and stud size is stamped on the lug palm.